In 1978, an unknown, soft-spoken, 21-year-old Polish pianist appeared as soloist with the Los Angeles Philharmonic for its newly appointed music director, Carlo Maria Giulini, in the Dorothy Chandler Pavilion. The performances of Chopin's two piano concertos were recorded by Deutsche Grammophon. 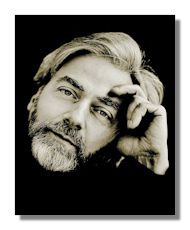 Krystian Zimerman's eloquence went far beyond his years, and a major career was launched. In the '80s, Zimerman became Leonard Bernstein's favorite pianist, the conductor's choice to record the Beethoven and Brahms piano concertos. In 1992, the summer before Esa-Pekka Salonen became music director of the L.A. Philharmonic, he selected Zimerman to perform with the orchestra at the Salzburg Festival.